Jonathan J. Lerner’s practice emphasizes federal court litigation, including securities, corporate and commercial litigation, as well as matters involving commercial arbitration. Mr. Lerner has played a leading role in many of Skadden, Arps’ most significant cases. He is ranked by Chambers USA as one of New York City’s top lawyers in both general and securities litigation and nationally as one of the top lawyers in securities litigation, and is listed in The Best Lawyers in America both in “bet-the-company” litigation and in commercial litigation. Mr. Lerner has served as lead defense counsel in some of the most significant and highly visible securities class actions in the country, including in multibillion-dollar litigations against Cendant, McKesson HBOC and DaimlerChrysler. In 2010, after obtaining a dismissal for Star Gas Partners, L.P. of a federal securities class action in the United States District Court for the District of Connecticut, and successfully arguing the appeal in the Second Circuit Court of Appeals, he secured a ruling imposing legal fees as Rule 11 sanctions on lead plaintiffs’ counsel. Also in 2010, as lead counsel for Cano Petroleum, Inc., Mr. Lerner successfully argued in the U.S. Court of Appeals for the Fifth Circuit for affirmance on the rule dismissing a securities class action in the United States District Court for the Northern District of Texas. 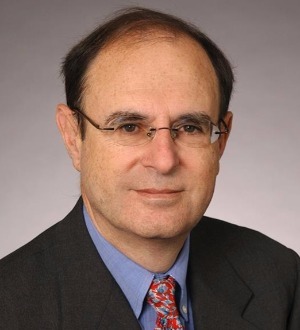 Mr. Lerner also is serving as lead counsel to Heartland Industrial Partners, LP in the defense of a securities class action and other cases arising out of its ownership interest in Collins & Aikman Corp. He was lead trial counsel for DaimlerChrysler AG in its resounding victory in the trial of the multibillion-dollar securities fraud action filed by Kirk Kerkorian’s Tracinda Corporation in the United States District Court for the District of Delaware over the 1998 merger of Daimler and Chrysler. Mr. Lerner’s victory for DaimlerChrysler was named the “Top Defense Win of 2005” by The National Law Journal. In 2011, Mr. Lerner was lead counsel for Christie’s Inc. in securing the complete dismissal of RICO and other claims by William I. Koch that Christie’s made false claims about the authenticity of counterfeit wine that supposedly belonged to Thomas Jefferson. Mr. Lerner represented JAKKS Pacific, Inc. in the dismissal of litigation brought by World Wrestling Entertainment, Inc. in the United States District Court for the Southern District of New York and Connecticut state court. In 2009, the United States Court of Appeals for the Second Circuit affirmed the dismissal. In 2006, he represented the general partners of the Hudson Waterfront Partnerships in the dismissal by the New York Supreme Court of all of Donald Trump’s claims involving the $1.8 billion sale of Riverside South properties. In 2004, Mr. Lerner was lead counsel for CTF Hotel Holdings, Inc. in its litigation against Marriott International, Inc. in the District of Delaware and before the Court of Appeals for the Third Circuit, and for Hotel Property Investments Ltd. in its arbitration against Marriott International. Also in the class action realm, Mr. Lerner represented Avis, Inc. in a purported class action filed in the United States District Court for the Southern District of Florida arising out of alleged violations of the Civil Rights Act. Mr. Lerner successfully argued to the Court of Appeals for the Eleventh Circuit that the district court’s order granting class certification should be reversed. Mr. Lerner defended the Prudential Insurance Com­pany against a libel action by a former real estate appraiser, obtaining summary judgment in the United States District Court for the Southern District of New York and successfully arguing the appeal before the Court of Appeals for the Second Circuit. On behalf of Tyson Foods, Inc., Mr. Lerner argued an appeal from a multimillion-dollar contempt order against Tyson, which was reversed by the Court of Appeals for the Second Circuit. In 1998, Mr. Lerner successfully represented Robotic Vision Systems, Inc. in a jury trial in the United States District Court for the Eastern District of New York on its claims of tortious interference with contractual relations. During 1998 and 1999, he successfully defended Del Monte Fresh Produce Company in Florida state court and against claims of tortious interference with contract by Chiquita International Limited, obtaining summary judgment and an affirmance on appeal. Mr. Lerner has successfully defended the Bank of Isra­el, Israel’s cen­tral banking authori­ty; the Minis­try of Fi­nance; Bank Hapoalim; and certain indi­vidu­als in litiga­tion in the United States District Court for the Southern District of New York and before the United States Court of Appeals for the Second Circuit aris­ing out of the fail­ure of the North Ameri­can Bank. In a related case, he repre­sented the Offi­cial Re­ceiv­er of the North Ameri­can Bank (in liquida­tion) to enforce a multimillion-dollar judg­ment in feder­al dis­trict court and the United States Bank­ruptcy Court. In the takeover arena, Mr. Lerner has been involved in many of the most hotly contested cases. He represented Tyson Foods, Inc. in its hard-fought three-way battle to acquire The Holly Farms Corporation. As lead counsel in Essex Chemical Corporation’s action against an unsolicited tender offer, Mr. Lerner obtained injunctions in both the United States District Court for the District of New Jersey and the Court of Appeals for the Third Circuit. Mr. Lerner was lead counsel to General Steel Indus­tries, Inc. in its successful and highly publicized defense against the unsolicited takeover bid by Rep. Frederick W. Richmond, which led to the congressman’s resignation from the House of Representatives, criminal prosecution and jail sentence. Mr. Lerner also argued successfully in both the district court and the United States Court of Appeals that Norlin Corporation’s directors had breached their fiduciary duties in authorizing certain defensive actions. Mr. Lerner has published numerous articles on the liability of corporate directors, corporate takeovers, litigation strategy and legal ethics. He has been a lecturer of law at Columbia Law School and an adjunct professor at Brooklyn Law School, where he taught legal ethics; he also has lectured frequently on such topics as the business judgment rule, defamation in business communications, and federal practice and procedure and legal ethics.